The sweater that started it all! Adrienne of The Rich Life (on a budget) and I decided to start a Facebook page, and Twitter, Instagram, and Pinterest accounts devoted to our “How I Wear My” series, which we began nearly two years ago on a whim when we discovered that we had each purchased the same Missoni for Target cardigan. 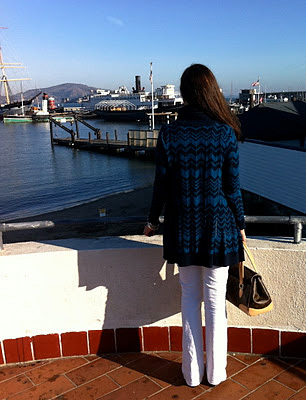 I still love to wear this cardigan in fall. Nearly two years’ worth of fun, fabulous, and stylish monthly posts later, featuring all you fine foxes out there who join us for our different themes, and I have to say, “How I Wear My” has been one of the most satisfying things I have ever done in terms of the people I’ve met, the things I’ve learned, and the inspiration I get with each post! I still love the way Adrienne styled this. 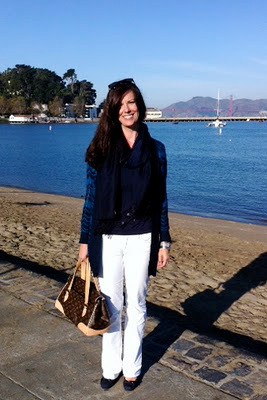 Yes to white jeans and Louis Vuitton bag! Won’t you come like us on Facebook, follow us on Twitter, and check us out on Instagram and Pinterest? And then please start looking through your closet—or checking out the sales!—and put together a look for “How I Wear My: Neon” for September. You know it’ll be (crazy bright) fun! Facebook and Twitter and Instagram and Pinterest. Well done my dear! I am enjoying seeing this project progress! Loved hearing how you both started this stylish journey! 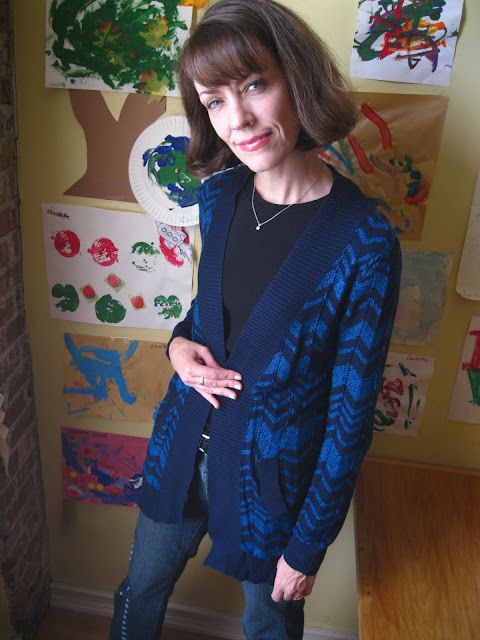 I remember reading about this Missoni cardigan before, how nice to see it modeled on both of you! Something about this length and cut on taller ladies with slender limbs looks so elegant. You both look amazing in it. Can you believe we have stuck with HIWM for so long? And that it all started with a cardigan...from Target! I am thrilled we have created a special place for HIWM. I am looking forward to shining the spotlight on all of our HIWM participants on a variety of social media platforms. I did not know this is how you girls began! Thanks for the history...I enjoy being a part of your fun collaboration! I loved reading about the beginning of HIWM. What a fun story! You both wear the Missoni in a very stylish way. HIWM is such a wonderful collaboration and I thank you and Adrienne for all the efforts to make it happen. I also wanted to thank you for your very kind comments on my not so 'sunny' post the other day. Your words and support mean so much. Loved the skirt you wore to the wedding. Chic!